I came home one day this week and saw this sign on top of the coffee maker. It’s the first thing you see upon entering the kitchen. I couldn’t help but laugh. 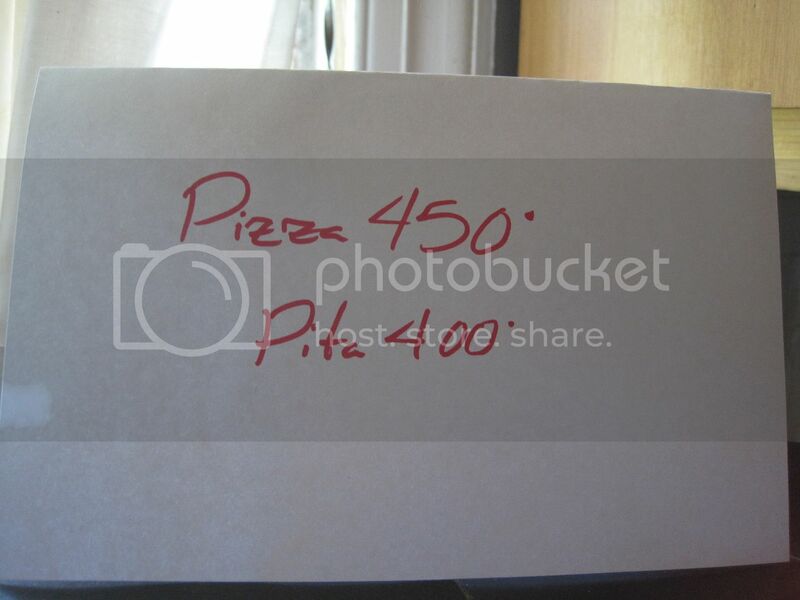 I knew the pizza queen has been at it again. She came into the kitchen about the same time that I did, having heard my car pull up in the driveway. With a huge grin on her face, she said, “Did you see?” pointing to the pile of breads. 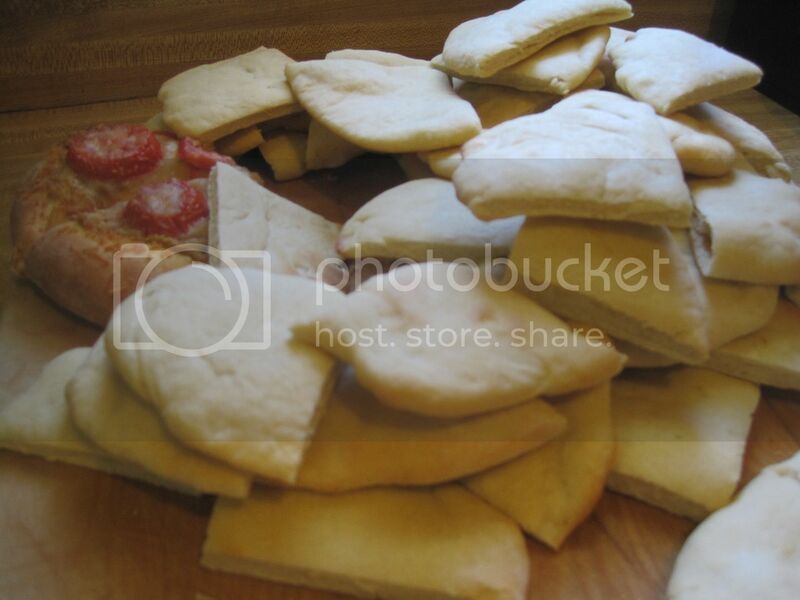 I said pointing to the sign, “Are you charging for them?” She laughed, she said those were the temperatures for baking the pizza and pita bread. LOL! She said she didn’t want to get them confused or forget. Besides it being summer vacation, I asked why the sudden urge to bake so much bread? She said, “I needed something to go with the hummus.” I had forgotten we received three tubs of hummus the day before! The second we opened the box, she opened one right away, but we only had some tortilla chips and not even any tortillas to make wraps with. So, the very next day, this is what I came home to. That girl loves her some hummus! Too bad we don’t have our own garden tomatoes yet because she loves hummus with sweet, fresh tomatoes from the garden. So, how about you? 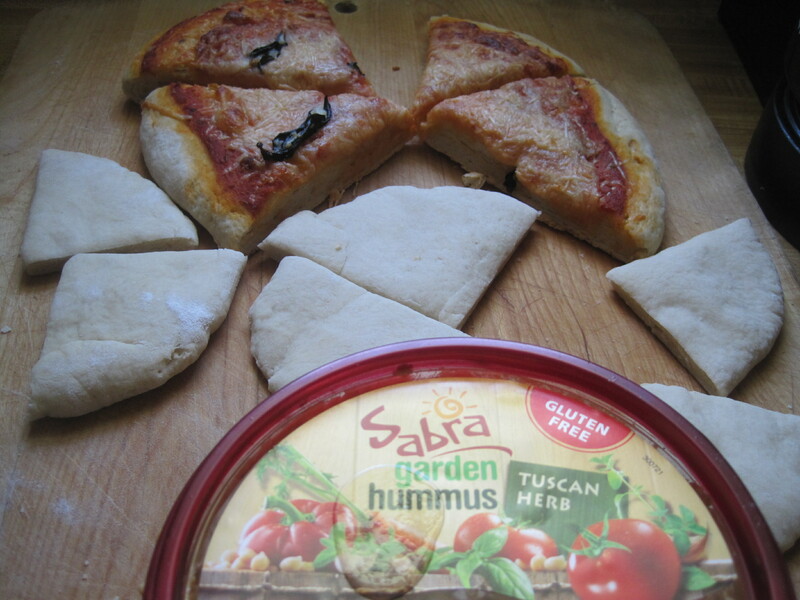 Do you like Sabra Hummus as much as we do? 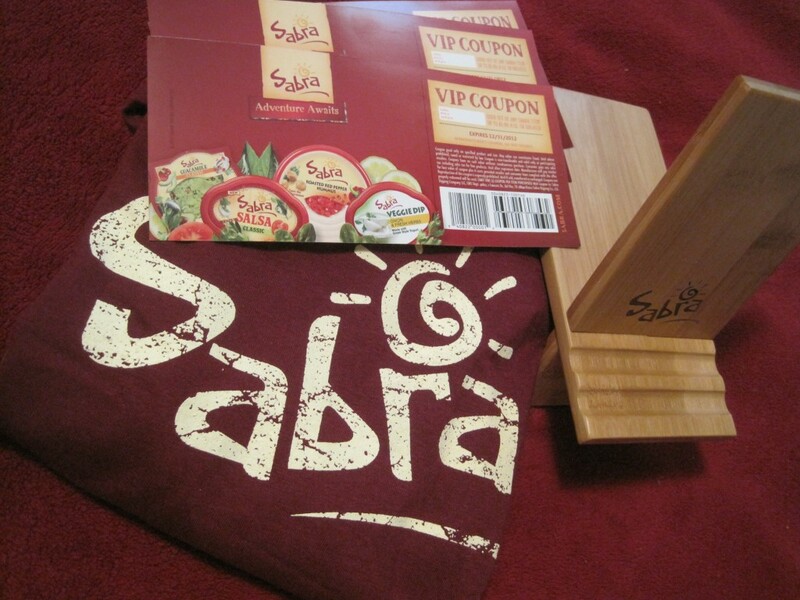 How about this… How would you like to win this cool Sabra prize pack which includes coupons for FREE Sabra Hummus? Leave me a comment below and TELL ME HOW YOU LIKE YOUR HUMMUS to enter the drawing for the giveaway! Want bonus entries? You can also do any of the following and leave a separate comment that you did it. LIKE Sabra on facebook and while you’re there, check out their ambassador program where you can get discount coupons and even recipes. Check out the recipe makeover video for some fun ideas. Disclosure: I received free Sabra hummus to sample and the Sabra swag package for this giveaway. No other compensation was provided and I will be mailing the prize at my own expense. ← Giveaway: Orville Redenbacher’s SmartPop!